Pirooz Pourbahrami, CPA has wide range of experience in tax and attestation services. 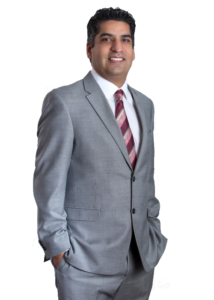 His experience includes tax consulting and planning, financial statement audits, reviews, and compilations for small to medium size businesses. He also provides comprehensive financial forecasts, budgets, and projections for new and established businesses. Pirooz started his career in public accounting at a prestigious local CPA firm in Calabasas, California where he provided tax and attestation services to clients in industries including and not limited to healthcare providers, manufacturing, aerospace, and real estate. In 2008, he joined a local CPA firm in Woodland Hills, California to expand his expertise in taxation and financial consulting. He has worked closely with business owners in industries such as entertainment, security alarm, mortgage, construction, and healthcare providers to accommodate their day to day tax and accounting needs. Pirooz received his Bachelor’s Degree in Business Economics from University of California, Los Angeles (UCLA) with honors. He is an active member of the American Institute of Certified Public Accountants (AICPA), California Society of Certified Public Accountants (CalCPA), UCLA Alumni Association, and California Zoroastrian Center.